In the wake of the global financial crisis of 2007-2008, Toyota Financial Services (TFS) started seeing record numbers of customers fall delinquent on their auto payments every day. By 2009, TFS, which provides auto financing to more than four million U.S. customers, was hitting a high water mark. "2009 was the first time there were over 100,000 customers per day who were more than one day behind on their car payments," says Jim Bander, national manager for decision science at Toyota Financial Services. From the beginning, Bander says, Toyota's goal was to keep as many people in their vehicles as possible. The company needed to get better outcomes for its collection efforts, helping their customers avoid repossession or credit impacts as a result of their delinquencies, while still profitably growing its lending portfolio. To do it, the company had to venture into new waters with regard to analytics. The problem, Bander says, is that the number of late customers was completely overwhelming the number of collectors TFS could dedicate to help customers get back on track. Agents can make only so many calls per day, Tim VanTassel, general manager and vice president of the Credit Lifecycle Line of Business at analytics software company FICO, says. But customers who fall behind aren't all the same. Some, VanTassel notes, will find a way to get things back on track without any intervention on your part. Contacting those customers is a misallocation of resources — they don't need your intervention. Other customers won't self-start; they need the spur of a call to formulate a plan of action. Identifying and prioritizing those customers is the key, VanTassel says. 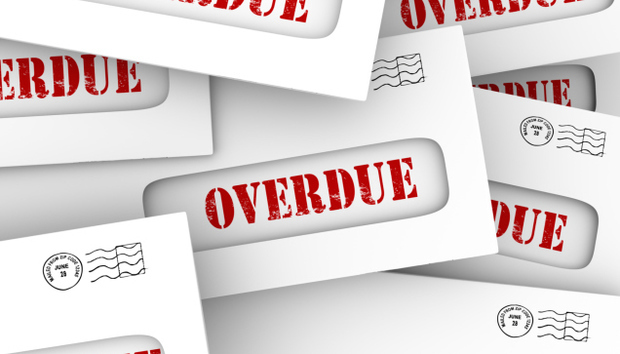 "In the collections business, how do we take a borrower who's behind on their payments, how do we deal with them and resolve their issue to our join satisfaction," VanTassel asks. "I have only so many collectors, can only make so many calls, what are the right calls to make this week?" TFS needed to better understand its customers and then target the correct customers to most efficiently reduce delinquencies and keep the most customers in their vehicles. To help it identify those customers, TFS turned to FICO for help. The partners drew on optimization concepts that credit card companies have been using for decades, but which had not yet been used for auto financing, to develop a Collections Treatment Optimization (CTO) program that would integrate decision management, reporting and advanced analytics for a data-driven, scientific and customer-centric approach to collections. "It's really an innovative area," VanTassel says. "Before the two teams spoke, there hadn't really been a concept that there was something that could be optimized there. There was no name for this before." "We had not used mathematical optimization for collections," Bander adds. "But we knew that we had to change if we were going to deal effectively and fairly with over 100,000 people per day." Using FICO Xpress Optimization Suite and FICO Model Builder, TFS combined statistical modeling, forecasting, predictive modeling and optimization into a single framework that allows it to rapidly simulate multiple scenarios and then deploy an optimal strategy into production. The implementation divides customers into micro-segments based on risk, ensuring that the collection treatments are delivered individually, one customer at a time. "We're a very process-centric company," Bander says. "Modifying the processes was the first step. We did that long before we got the math done. We bet the math would be solved." The result was a decision engine that helps collectors identify the right customers to target. TFS developed a Delinquency Movement Metric, borrowed from the credit card space, to help collectors see how effective their efforts were. The same metric is also used by the risk department to minimize losses. "It relates the success of the collector partnering with the customer to the success of the company," Bander says. "It's a win-win. You maximize performance and make everybody happy." At first, Bander says, the rules of the decision engine weren't very sophisticated. But they've grown over time. TFS now processes 4.2 million accounts nightly with over 400 attributes. "We're storing a lot of data," he says. "Internally we look at over 70 attributes based on data that we buy from various vendors. We're crunching through 3.25 million rows a night to make decisions." The process uses a method called champion-challenger testing in which a percentage of collectors use a decision engine based on the "champion" process — the process that has achieved the best results to date. Another percentage uses the 'challenger' process, a theoretically improved process. Once a quarter, TFS validates the results. If the challenger proves more efficient, it becomes the champion. "We're currently doing a quarterly process," Bander says. "It's more time consuming to validate the process that comes out of the model and get it implemented on the floor than it is to run the process. My goal is to do it monthly." In its first year, the CTO program helped more than 6,000 customers stay in their cars and 50,000 customers avoid reaching a stage of delinquency that would affect their credit. "Working with delinquent customers to keep them in their cars while working out payment options has helped Toyota avoid millions of dollars in losses," Bander says. "It's a win for our customers and a win for Toyota. Furthermore, it reduced our operating expense ratio by allowing Toyota to grow our portfolio by roughly 9 percent without adding collections headcount. This has also enabled us to tie future lending decisions to our collections abilities — putting more customers behind the wheel of a Toyota." Bander notes his team is actively working on a project to deploy optimization into loan originations. "The ultimate dream is you shouldn't have to go to the dealership to find out if you can get financing," he says. "You sit on your couch and find out if you can get a certain payment. After you find out, you can go to the dealership and finish." In November of last year, an independent panel of experts awarded Toyota Financial Services the 2015 FICO Decision Management Award for Debt Management for the CTO program. "The panel of judges was impressed by how Toyota Financial Services aligned its collections program with its corporate customer service philosophy," Philip Alexander, editor, Global Risk Regulator, one of the judges for the awards, said in a statement. "Rather than a tactical approach to collections, they are pursuing a long-term vision: to keep their customers in their cars."